Partnering with like-minded organisations and data service providers helps us all help you. We're proud to be working alongside these industry leaders who are committed to helping you achieve the best customer relationships possible. Association of Local Government Information Management (ALGIM) provides professional development and thought leadership across a range of local government professions. It's roots are in ICT, but over the years they've expanded to encompass the traditional IT roles, IT infrastructure, web and digital, information and records management, customer service, and GIS. ALGIM also offers thought leadership to the local government sector through best practice toolkits, advocacy, research, auditing and shared services. NoticeMATCH works in partnership with ALGIM. As New Zealand’s largest mailhouse, we know a thing or two about direct marketing. We offer a full range of services from high performance personalised digital print to campaign collation and finishing by our expert handline team. Our nationwide team will advise you on the best way to maximise your mailout to increase your ROI and get the results you need. When you work with us and our network of industry experts, you’ll engage your customers and bring on new ones. We can access high quality data including names and addresses for businesses plus rural and urban consumers to help you reach new audiences and grow your market share. We can take care of your marketing campaign from start to finish, or work in collaboration with your existing agency. If you want the best possible results from your direct marketing, you’re in the right place.Contact us today! NoticeMATCH works collaboratively with NZPost. LifeLot is a private, extremely secure personal online document storage service that enables individuals to lock away important information about their lives, safe keeping it now and into the future. Individuals can achieve peace of mind knowing that if anything happens to them, loved ones can quickly and easily find out where those necessary documents are kept, how to access and close all the accounts they have, and what the final wishes are. NoticeMATCH works collaboratively with LifeLot. 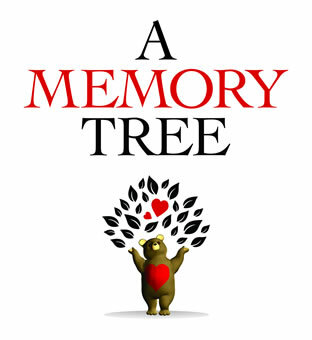 A Memory Tree is NZ's largest and most comprehensive remembrance website. If a death has been published in a leading newspaper you can find information about the person here. A Remembrance Page is created free for each person, so you can help build a unique 'tree of memories' for others by leaving a message or a fond memory, refreshing flowers or lighting a candle on a page any time of day or night. What you do and say, does make a difference! . NoticeMATCH works in partnership with A Memory Tree.